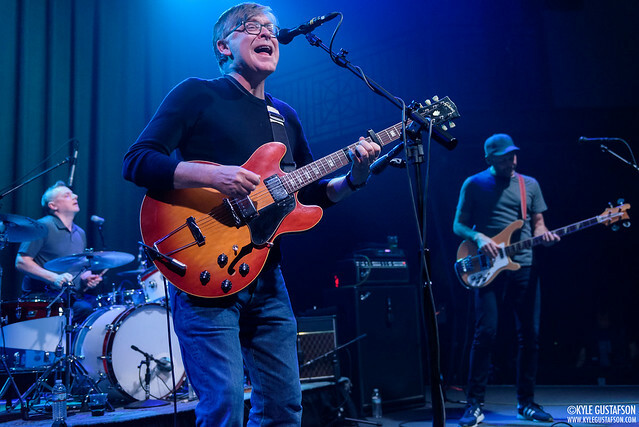 Posted on 03/06/2019 by Parklifer	in Preview and tagged 9:30 Club, jangle pop, power pop, Scotland, Teenage Fanclub. 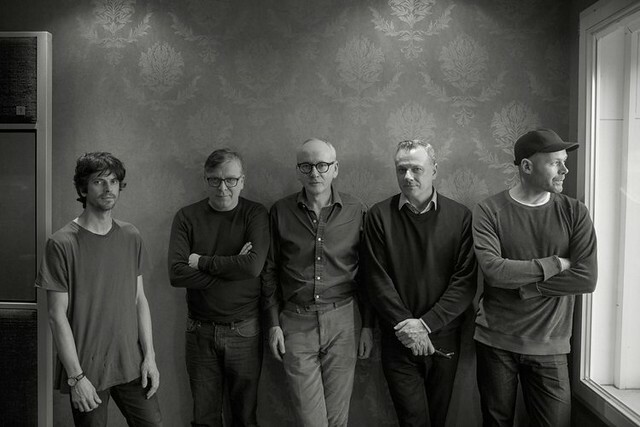 Scots jangle poppers Teenage Fanclub released a new song recently, publishing “Everything Is Falling Apart” via Merge Records. On its current US tour, the band performs at 9:30 Club on Saturday, March 16. 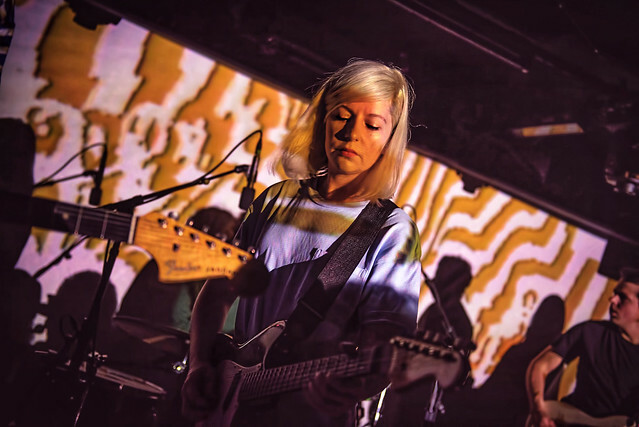 Posted on 10/05/2016 by Mickey McCarter	in Live Review and tagged 9:30 Club, free tickets, Glasgow, jangle pop, Merge Records, Norman Blake, power pop, Teenage Fanclub, ticket giveaway. The Scottish quintet Teenage Fanclub return with their first new album in six years, and that album, Here, appeared on Sept. 9 via Merge Records. Over at Merge, they sure like their power pop, and Teenage Fanclub is right at home on their roster. But singer Norman Blake certainly leads his band through their own sunny, jangly sound. Listening to Teenage Fanclub is like having a great conversation with an old friend: You may know where it’s going but you’ll enjoy the ride. 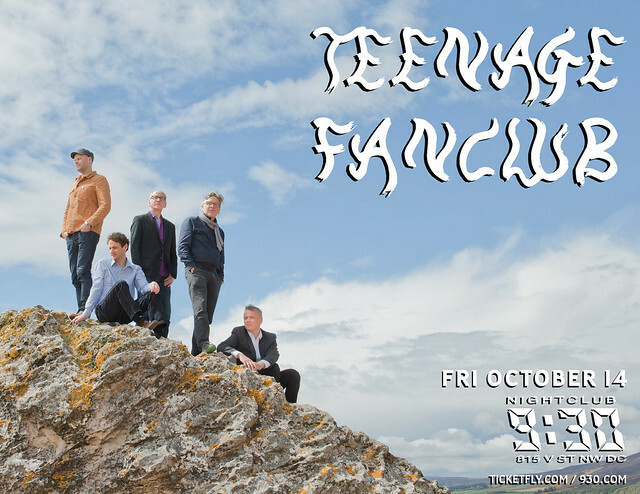 Teenage Fanclub are touring in support of their new album, and they visit the 9:30 Club on Friday, Oct. 14. Parklife DC is giving you a chance to go! Parklife DC is giving away a pair of tickets to see Teenage Fanclub. To win, simply leave a comment on this blog. You can leave any comment but perhaps tell us your favorite song by Teenage Fanclub. Comments will be closed at 5pm on Friday, Oct. 7, and a winner will be randomly selected. The winner will be notified by email. The winner must respond to our email within 24 hours or they will forfeit their tickets and we will pick another winner. We will email you instructions on claiming your ticket. Good luck! If you don’t win, tickets also are available online!